A clipper ship was an extremely fast ship with three masts and a square rig which admittedly sailed all over the world. The name “clipper” (C/K+L+F/P+R) acronymically speaking equates to “Cull Four” or “Kill Four” (the letter “F” and the letter “P” are interchangeable within the Roman-English language). 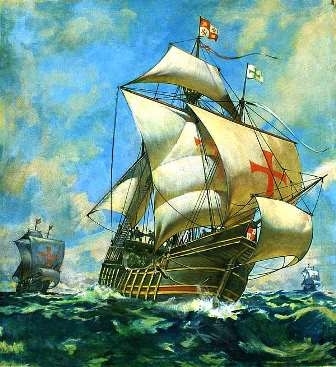 Therefore, the term “clipper” is a reference to the ship’s mission (i.e., killing), and a tribute to the four-pronged red cross of the Roman Empire which adorned the ship’s white sails. Clipper ships were outfitted with Roman cannons which essentially guaranteed them victory in any confrontation at sea. This is likely where the term “clipper”, meaning to cut, was originally derived from as enemies of the Roman Empire would be routinely be cut down in battle. Consequently, Roman clippers ships are depicted within the official coat of arms of many nations, most of which are islands (e.g., the Bahamas, Belize, Benin, Colombia, Costa Rica, Dominica, Ecuador, Fiji, Gabon, Kuwait, Liberia, Mauritius, Marshall Islands, New Zealand, Qatar, Seychelles, Trinidad and Tobago, Tunisia and Suriname). Roman clipper ships are also depicted on the flag of 8 U.S. states (i.e., Delaware, Florida, Kansas, Nebraska, New Hampshire, New York, Oregon, and Pennsylvania), in the official seal of 8 U.S. states (i.e., Alaska, California, Delaware, Florida, Georgia (reverse), New Hampshire, New York, North Carolina, Oregon, Pennsylvania), in the official seal of 2 U.S. territories, (i.e., Guam, and the U.S. Virgin Islands), and in the official coat of arms of 4 U.S. states (i.e., Alabama, Delaware, New York, and Pennsylvania). While historians may attribute the aforementioned clipper ship heraldry and vexillology to former European naval powers (e.g., England, Spain, Portugal, etc. ), the Roman Empire and her so-called Vikings were admittedly the first to discover Markland (i.e., North America). Therefore, it stands to reason that the Roman Empire was also the first to discover the other continents, islands and territories as well. Roman clipper ships are openly celebrated today in popular culture by Columbus Clippers, a minor league baseball franchise, and the Los Angeles Clippers, a professional basketball team of the National Basketball Association (NBA). 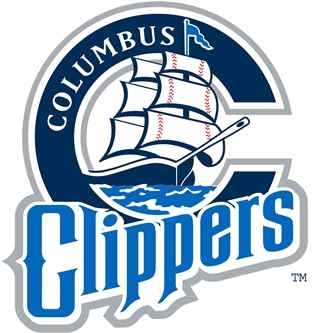 Aside from the clipper ship found within the logo of the Columbus Clippers, the three distinct sails of a clipper ship are depicted within the original logo of the then San Diego Clippers (1978-1984). Aside from the Los Angeles Clippers, the notion that Roman clipper ships traveled to California is substantiated by the fact that that Roman clipper ships along with a Roman centurion are depicted in the State Seal of California. A Roman clipper ship is also depicted in the logo of Manchester United F.C., arguably the best and most popular football (soccer) club in the world. Lastly, a Roman clipper ship is also depicted in the logo of Cutty Sark whiskey, furthering the notion that “clipper” and “cutting” are synonymous in meaning. 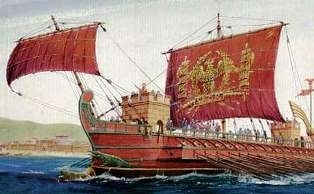 Prior to the invention of the steam engine, Greco-Roman ships were powered around the Mediterranean Sea by large sails and hundreds of oaring slaves. Although modern historical accounts differentiate between clipper ships and slave ships, the reality is that a combination of slave and sail power have been used in sailing since the birth of the Greco-Roman Empire. Because speed is a vital aspect in both commerce and war, ships could not rely solely on one form of power. A ship with no wind or sick slaves would become a sitting duck on the high seas, something no business or military could afford. Although sails were employed when favorable winds blew, rowing was vital, especially in battle were ships were required to make sharp turns when attacking enemy ships (i.e., tacking). As the Greco-Roman Empire outgrew the Mediterranean, slaves were used to power various explorations around the globe. Consequently, slave stables were built at strategic port locations in Africa, Asia, North America and South America. After the first leg of a given journey, exhausted slaves would be traded in for fresh slaves, hence the term “slave trade”. The new slaves would then be used until the next port where the process was once again repeated. Over time, the African slave populations at key Roman ports overtook the indigenous populations (e.g., Brazil, Dominican Republic, Puerto Rico, etc.). Tributes to the Roman clipper ship are found throughout the modern world, including but not limited to: Aircraft: American Aviation AA-1 Yankee Clipper, a light aircraft; Boeing 314 Clipper, a flying boat; Pan Am Clipper, the call sign for Pan American World Airways; Piper PA-16 Clipper, a small aircraft; Raj Hamsa Clipper, an Indian ultralight aircraft design; and Worldwide Ultralite Clipper, an ultralight aircraft; Automobiles: Clipper, a steam automobile built in Michigan, USA in 1902; Clipper, an American automobile make (1956 model year); Nissan Clipper, two ranges of commercial vehicle; Packard Clipper, an American automobile model (1941-1947; 1953-1955; 1957); and Trident Clipper, a British sports car (1966-1974); Business: Clipper Windpower, a wind turbine manufacturer; and “Yankee Clipper”, a restaurant occupying the 170-176 John Street Building in New York, New York; Computing: Clipper, a programming language for dBase III; Clipper, an electronic device that restricts the output of an alternating current circuit; Clipper architecture, a microprocessor instruction set architecture; Clipper chip, a chipset for data encryption; and “Yankee Clipper”, a clipboard stack computer software product; Film: “The Yankee Clipper” (1927), an American adventure film; Literature: “New York Clipper” (1853 to 1924), a defunct American newspaper; Military: “Operation Clipper”, a World War II Allied offensive in western Germany; Music: “Fruits Clipper” (2006), an album by Japanese electro music group Capsule; Rail: Clipper card, smart card for paying transit fares in the San Francisco Bay Area; and “Yankee Clipper”, a passenger train service between New York City and Boston, Massachusetts; Retail: Clipper (lighter), a brand of butane lighter; Nail clipper, used to cut fingernails; and Hair clipper, used to cut hair; Science: Alberta clipper, a storm system common to North America; Clipper butterflies, the genus “Parthenos” and in particular the species “Parthenos Sylvia”; Kliper (sometimes Clipper), a space vehicle developed by the Russian Roskosmos in cooperation with the ESA; “Yankee Clipper”, a nickname for the 1938 New England Hurricane that struck Long Island, New York and New England, Massachusetts; Space: Delta Clipper, a reusable space vehicle; and “Yankee Clipper”, the name of the Apollo 12 command module; Shipping: Clipper Navigation, a ferry operator the Seattle, Washington and Vancouver, British Columbia area; Milwaukee Clipper, a retired steel hulled auto and train ferry between Milwaukee and Muskegon in Wisconsin, USA; Yankee Clipper, a waterway harbor cruise in New York City; and “Yankee Clipper”, a sea scout sailing vessel (Gaff Headed Ketch) in Seattle, Washington, USA; Sport: Columbus Clippers, a minor league baseball franchise; Los Angeles Clippers, a professional NBA basketball team; The Clipper Round the World Yacht Race, a yacht race crewed by paying amateur sailors; “The Yankee Clipper”, a reference to Mark Wahlberg's character in the 2011 film The Other Guys for shooting baseball player Derek Jeter; and “Yankee Clipper”, the nickname of Joe DiMaggio, a Major League Baseball player.